Many organisations implement firewalls without understanding the underlying technology or realising the need for architecting a comprehensive policy for such firewalls, which can lead to a false sense of gratification and security. configurations, simplify the organisation’s rule-sets and fine-tune the performance of the firewall. Because of a firewall replacement, an organisation can optimise security and performance. We also pro-vide a summary of findings that includes remedial needs and suggestions for improvement of posture. Why Fortray for Firewall Replacement? Scalable and flexible, so service grows with the needs of your business. Train, Solution, and Employment with us for Globally Recognized Network & Security Vendors. I was looking for a professional training so After knowing about trainer skills and expertise in LinkedIn, I have decided to go for PaloAlto Bootcamp training and I must have to tell you, that the way trainer teachers is like mind blowing. He makes sure we understand the concept and purpose of each task and he explains in a very simple manner .I sat for the exam and I Pass with their help even after the training… (THANKS, trainer you have helped me a lot even though you damn busy..) This is really made me go for another Fortinet Bootcamp and I have completed Fortinet, and it made me go for F5 boot camp also. I highly recommend him and his team for their valuable training in the market today and moreover, all the boot camps they offer is a very hand on/practise them in a real equipment(hardware) and they give you an extra week to practice after the course which is a very good deal. Keep up the good work team.Sorry, I don’t have the option to rate 200% but still, I was only able to pick 5 Star only. 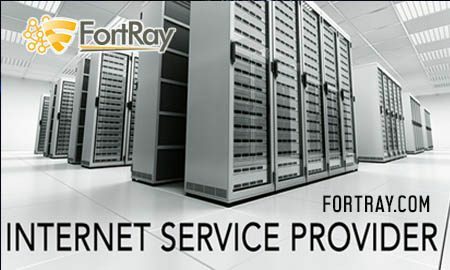 I experienced very good training service from Fortray Network Limited delivered by Mazhar. Mazhar was always available to assist on the Lab. The training was delivered to the projected timescales and he is thoroughly pleasant to work with. I’ve really enjoyed training, trainer is very knowledgeable, friendly and approachable trainer. Best part is we get 24 X 7 lab access so its not only theory but we get chance to do practice on real devices. very knowledgeable teacher with full hands on experience of live networks, easy to understand and always available to help you when you need, would recommend to anyone who is looking for network lessons. I found the Palo Alto bootcamp beneficial. The course has been well thought through. I like the way the labs are integrated within the teaching. The labs offer a platform for extensive practice and testing and are available 24 hours everyday. Students are allowed time to practice what has been taught after each class. I have completed the Palo alto training and an now working towards the certification.